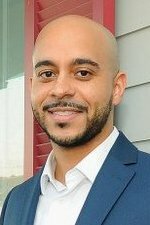 The first two candidates to qualify to run for the state House of Representatives seat to be vacated by Helena Moreno are a private attorney who specializes in civil-rights law and the entertainment industry and the current chair of the City Planning Commission, according to the Secretary of State’s office. Attorney Kenneth Charles “Kenny” Bordes and Royce Duplessis both filed to run for the District 93 seat as Democrats on Wednesday morning, which represents neighborhoods from the Garden District through Central City, downtown and Treme. 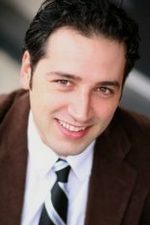 Bordes is an attorney whose firm “focuses primarily on clients with civil rights issues, labor/workplace issues, clients injured in accidents, and entertainment law,” and the host of “Overruled Radio,” a show about legal trends regarding social justice issues on WHIV-FM, according to his website. He attended Jesuit High School and studied law at Loyola University, was one of the founders of New Orleans Film and Entertainment Group, which developed production studios in the city. Duplessis, also an attorney, serves as chair of the City Planning Commission, and previously served as chief of staff for City Councilman James Carter. Duplessis studied law at Howard University, practiced energy law with the international Dentons firm and has served as special counsel to the Louisiana Supreme Court. Filing for the seat remain open through Friday afternoon for the March 24 primary, with a runoff scheduled for April 28 if necessary. Moreno, who was elected to the City Council in the fall, has said she will resign her legislative seat as soon as it can be filled by the victor in the special election. Two judicial seats will also be on the March 24 ballot. So far, Dale Atkins and Robin Pittman have filed to run for the Fourth Circuit Court of Appeal, and Ellen Hazeur and Richard Perque have qualified as candidates for a seat on Civil District Court.